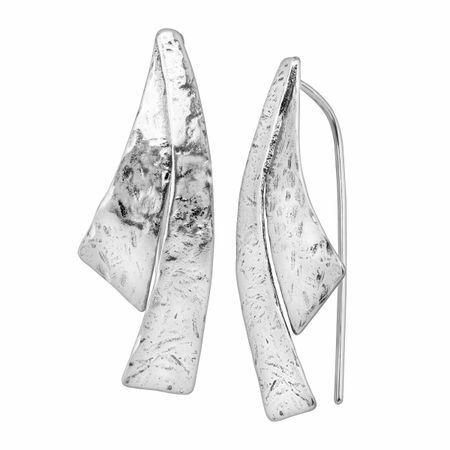 Textured and tapered drops are situated side-by-side in a curved fashion, complete with elongated ear wires for comfortable wearing. Earrings measure 1 3/8 by 9/16 inches and feature French wire back findings. Pieces come with “.925” sterling silver quality stamps as symbols of guaranteed product quality.